The bbq restaurant was really nice. The pools are great! Food excellent, staff excellent, location excellent. Beach fantastic as no coral to wade through. Large warm swimming pool. Kitchen staff were ver helpful in prelarimg food for my small boy. 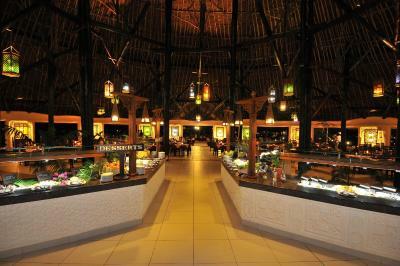 The food was great and in plenty, plenty of drinks and the Chefs were very friendly, especially in the main Dining Area. Nyama Choma was great as was the swimming and plenty of games.We loved the evening entertainment with great interraction with the Hotel entertainment Team. This should go past 11pm as there is nowhere else to go especially for young people. The Beach was clean and SAFE and we enjoyed walking along despite the Beach boys interrupting our peace and quiet from time to time. Beautiful. The food was excellent, amazing pool and the beach. 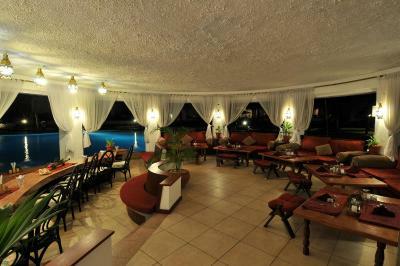 The food was good, Kamal the Chef & Rose Mudhune the Manager both deserve 5 stars. We were given a great reception by wonderful receptionists upon arrival. Esther the hostess made us feel so special during dinner on our first day as she explained the process of food service. Nyambura the waitress was so fast and efficient in looking after us and making sure we were comfortable. At the beach bar we meet a lady by the name of Dorcas and Monica who had a hearts of gold. They served us cocktails and cold beers upon request. I have traveled all over the world but that was my best experience. I will be visiting again in May. I have already recommended it to family and friends. 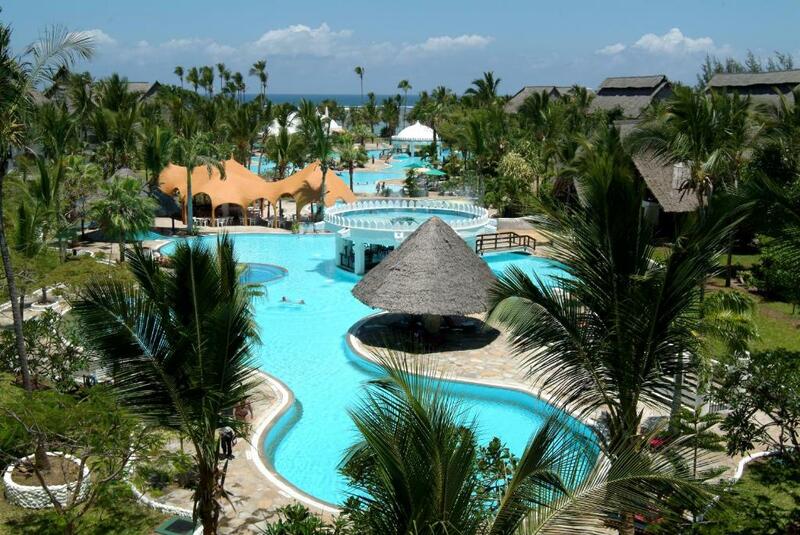 Southern Palms Beach Resort This rating is a reflection of how the property compares to the industry standard when it comes to price, facilities and services available. It's based on a self-evaluation by the property. Use this rating to help choose your stay! 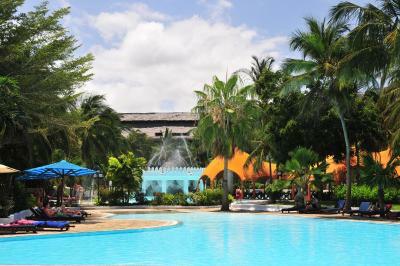 This 4-star resort is on Diani Beach Ukunda, 22 miles from Mombasa and features 2 outdoor swimming pools and 5 restaurants. 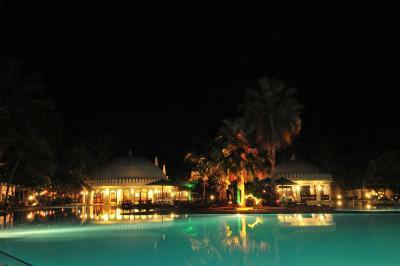 The bright, air-conditioned rooms feature balconies overlooking the pool, gardens or the Indian Ocean. Every room at the Southern Palms Beach Resort has a TV, minibar and tea and coffee-making facilities. Each includes a private bathroom with a shower and some have a bathtub and shower. 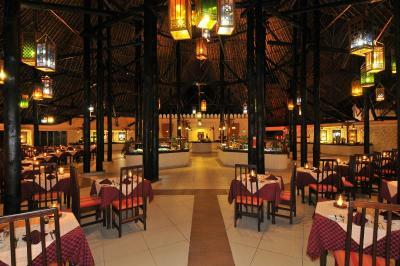 The 5 restaurants serve a variety of international cuisines, and service on the beach is also available during beach dinner or full-moon dinner. The resort also has 5 bars, including 2 that serve guests in the swimming pools. There are a range of activities that can be booked from the help desk. 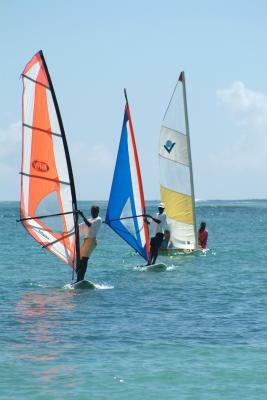 Diving and windsurfing are available, and land options include tennis courts or air-conditioned racquet courts. Free parking is also available. 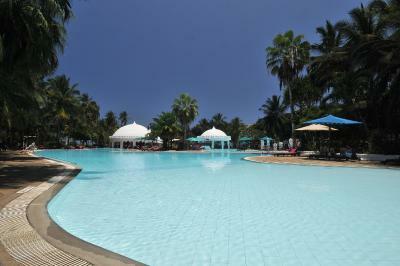 When would you like to stay at Southern Palms Beach Resort? 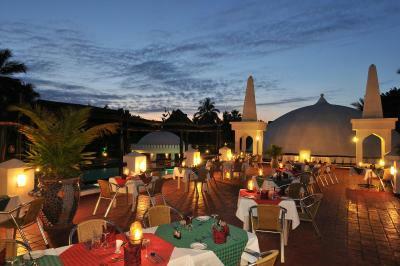 This bright, air-conditioned room features a balcony overlooking the Indian Ocean and garden. It has a satellite TV, minibar and a coffee maker. The private bathroom has a shower, and some rooms include a bathtub and shower. This bright, air-conditioned room features a balcony overlooking the ocean, pool and garden. It has a TV, minibar and a coffee maker. This double room features a balcony, air conditioning and tile/marble floor. The bed is draped with a mosquito net and has s flat screen TV with satellite channels. It has a private bathroom with free toiletries. 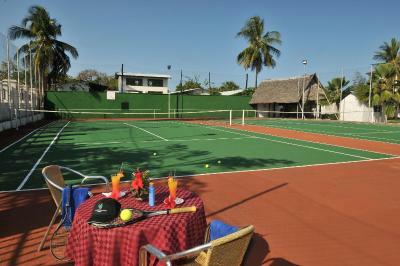 House Rules Southern Palms Beach Resort takes special requests – add in the next step! 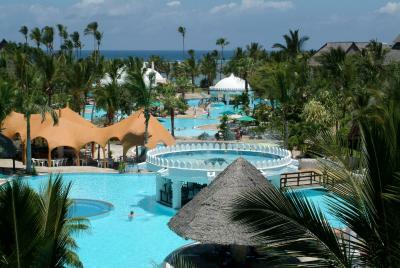 Southern Palms Beach Resort accepts these cards and reserves the right to temporarily hold an amount prior to arrival. Rooms and property dates and worn. Pools were awesome, huge and had quiet areas. Rooms very tired looking but they are going to have these refurbed soon. Bathrooms very dated and our bath had been painted. Tea tray a bit poor so get fresh milk from restaurant. Signing chitties even though all inclusive. Cats in restaurant being fed by ignorant tourists. Many monkeys stealing food. Staff was very unfriendly. Din't get the seevice required. Shower had no water force and maintenance was not available. There was a big delay in food...people had to wait in ques to get food. Old, rundown rooms and bathrooms. 3 stars or below. The beach was the best feature. Staff friendly. The juices were watery and horrible; even after our complaints. The fruits were raw and tasteless most of the time; a pity for a country in the tropics! 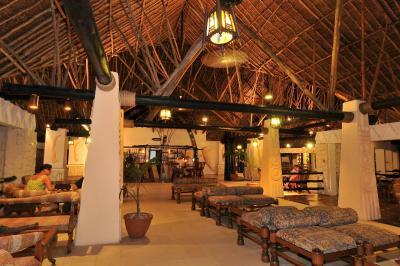 Staff are not as warm and friendly as in some hotels such as the Sands at Nomad and its Sister hotel on Chale Island. However, the waiters seem openly overfriendly to White people whom they gave a lot of unnecessary attention, sometimes bordering on the absurd! Just visit them (Sands at Nomad) to understand what I mean. We enquired about my Daughter holding her Wedding here in 2020 but the answers were too vague for us to engage. This is apparently handled by top management which makes it unnecessarily bureaucratic. We visited other hotels which were more forthcoming and helpful with Wedding Planning. 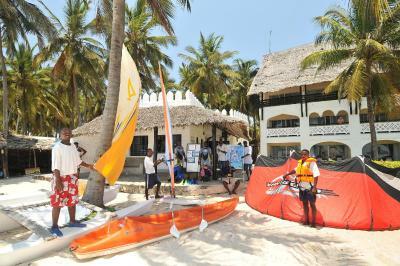 The Hotel needs to have a FREE shuttle from Diani Airport. All was good. No complains. Locks on the Sliding doors dont work Airconditioner very old and many functions dont work. Bit dated could do with some refurb work . Swimming pool water too warm not refreshing. Easy to get around the complex.